Archaeologists recognize pottery of many shapes, sizes, and purposes as one of the most common artifact types found on archaeological sites, almost anywhere around the world. Made of earth and hardened by fire, even fragments of pottery can endure as archaeological evidence for thousands of years, providing insight into domestic foodways and an artisanal craft that continues to thrive, today. 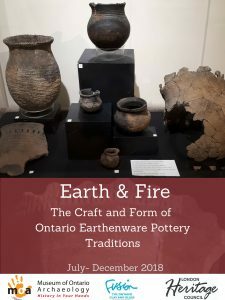 This exhibit explores the materials and processes involved in making earthenware pottery from ancient examples originating from what is now the province of Ontario, to modern experiences of creating pots from a local clay source. Follow this narrative as it is shared through three voices: The Archaeologist, the Traditional Knowledge Keeper, and the Potter. The tragic tale of Ste. Marie II, details how a village with?just one year of occupation illuminates the early history of Indigenous populations and their interactions with the French, English, and Dutch visitors to North America. This is the story of the last months of the Wendat and some of their Indigenous allies, along with the Jesuits, on Christian Island. The legacy of Ste Marie II rests with the oral histories of the Wendat and both?the documentary and archaeological?records of the settlements on this beautiful landscape. Music is a human universal that has been used as a form of communication, inspiration, and entertainment for millennia. 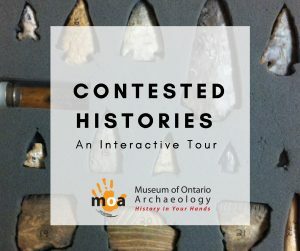 In Ontario, the oldest objects we recognize as instruments, bird bone whistles, spans back thousands of years. Objects such as those are fragments of the past. 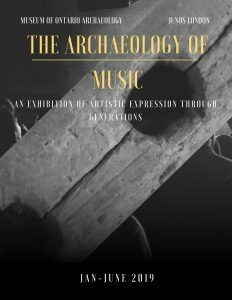 ?The Archaeology of Music will piece together these fragments to create a multi-sensory, multi-vocal educational journey that will lead visitors to explore how music was created and what it may have sounded like. ?Working with nine of the ten London Heritage organizations, local CRM firms, and JUNOs London, we?will explore what music means to us today through a historic lens, incorporating multiple voices and interactive mediums to weave a narrative about Ontario’s musical heritage that is relevant to multiple cultures, communities, and perspectives.